From June 11th to 15th PrEstoCloud was presented at the Software AG booth at CEBIT in Hanover, Germany. PrEstocloud was one of the research projects which attracted many visitors of IT industry. A great opportunity to share expert insights into how the game is changing through the Internet of Things, Virtual Reality, Artificial Intelligence, or Cloud Technologies. 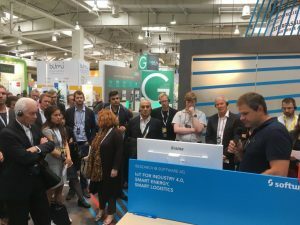 Tangible use cases and demos put the future of smart production, energy and logistics directly into one exhibition platform. Tradeshow visitors could also register for various guided tours at the Software AG stand. With the “Experience Everything Tour,” people used the tour the get, among other showcases, an overview of research projects like PrEstoCloud. 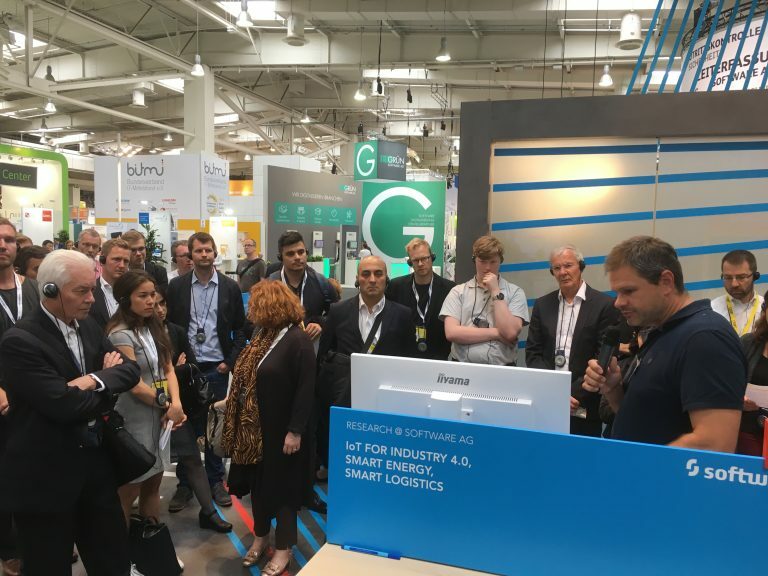 Software AG was also part of one official CEBIT guided tour that helped visitors in getting a good overview of the fair in the shortest time possible. The tour took visitors to the exhibition stands of selected companies including the Software AG booth. The PrEstoCloud project is titled "Proactive Cloud Resources Management at the Edge for efficient Real-Time Big Data Processing" and has received funding from the European Union’s Horizon 2020 research and innovation program under grant agreement No 732339.